She’s at the center of most Christmas stories, and apart from maybe Eve, she’s the best-known woman from the Scriptures. She’s Mary, the virgin mother of Jesus. 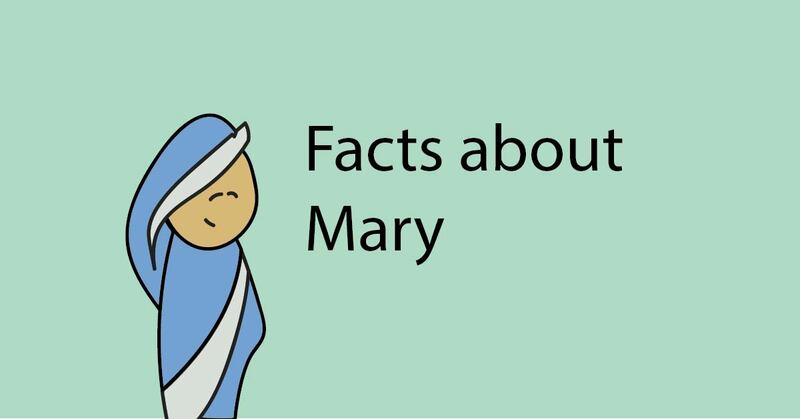 How about a closer look at some things we can learn about Mary from the Bible? The nation of Israel began with a man named Jacob, who had 12 sons. Each of these sons had more descendants—eventually leading to a single nation of 12 tribes (Gn 49:28). A few of these tribes achieved certain significance in the story of the Bible, the two most significant being Judah and Levi. Judah was the tribe of the great king David. This is the tribe from whom all the kings of Jerusalem came. It’s the tribe Jesus is legally associated with (Mt 1, He 7:14). Levi was the tribe of the priests. Only Levites could serve in the temple of God. Even at the time of Mary, more than 1,500 years after Jacob, every Jew traced their lineage back to one of these twelve individuals. Mary’s relatives, Zechariah and Elizabeth, were Levites (Lk 1:5, 36). And not just any Levites! Elizabeth was a descendant of Aaron: the first high priest of Israel and the older brother of Moses. Luke specifically says that Joseph is a descendant of David (and therefore, Judah) when he first mentions the character (Lk 1:27). Luke specifically says that Zechariah and Elizabeth are descendants of Aaron when he first mentions them (Lk 1:5). So why isn’t Mary given the same treatment? Mary isn’t even featured in Luke’s genealogy of Jesus, instead, Luke traces yet another lineage through Joseph—different from Matthew’s genealogy (Lk 3:23–24 c.f. Mt 1:16). Isn’t Luke’s genealogy really Mary’s lineage? Not necessarily. There are different ways (involving marriage, divorce, death) that a man could be considered the legal son of two different men in ancient Judea. One possible explanation is that Luke traced Mary’s lineage, including Joseph instead of Mary because Jewish genealogies were traced through fathers. Luke specifically says Mary is Elizabeth’s relative. If that’s true, then Mary has at least some Levite blood in her. Well, couldn’t Mary be both? Sure. The fact that Joseph (a Judahite) is marrying a relative of Elizabeth (a Levite) indicates that intermarrying between tribes was acceptable in Mary’s time. But don’t get hooked on genetics. Jesus’ kingly lineage was traced through Joseph by two gospels—both of which readily confess that Jesus isn’t Joseph’s biological son. So I don’t think the biblical writers see it as all that important that Jesus had Davidic DNA. The word for “favored” Gabriel uses means, “to bestow grace on.” This word is only used one other time in the Bible, when Paul is telling the Ephesians about the grace bestowed on the adopted Gentile Christians (Eph 1:5–6). Twice in the Bible, a woman declares Mary to be blessed. The first time is when Elizabeth (John the Baptist’s mother) meets Mary. They are both pregnant with very special children, and when Elizabeth hears Mary arrive, the baby leaps for joy in Elizabeth’s womb. Then, later in the book of Luke, Jesus heals a man who is being oppressed by a demon. His opponents say that this proves Jesus is in cahoots with the devil, which Jesus says is nonsense. When Gabriel first tells Mary that she will bear a son, Mary asks how that is even possible. She’s a virgin! Then Gabriel tells Mary that the Holy Spirit will come upon her, and the power of God the Father will overshadow her. And then she will bear the Son. Now, a quick note here. There’s another person in the Bible who was promised a son by God. And this son was also to be born under miraculous circumstances, and through him, God would bless the whole world (Gn 12:2–3). This person believed God, and because of his faith, God considered him righteous. That man was Abraham, the believer (Gn 15:6; Gal 3:6–9). Mary’s faith brings God’s promises full-circle. After Jesus is born, Joseph and Mary take him to the temple in Jerusalem to consecrate him to the Lord. And according to Levitical law, Mary and Joseph make an offering of two turtledoves (Lk 2:22–24). This may be an indicator of Mary’s and Joseph’s social class. Luke is quoting a passage in the book of Leviticus about offerings a mother should present after having a son. The default offering is a one-year-old lamb and a single turtledove. But if the mother can’t afford a lamb, another turtledove (or pigeon) would do (Lev 12:8). It’s possible that Mary couldn’t afford a lamb. One interesting thing to note: in the book of Leviticus, the second turtledove is a “sin offering,” a sacrifice specifically made to seek forgiveness and cleansing from sin. You can read all about these in Leviticus 4–6. I thought the genealogy of Mary says she came from one of David’s (Nathan?) descendants. Thanks for a great character study, makes me want more!! I’ve read on one of the interpretations of Mary’s life that she might be born in the big city of Zipory, located next to Nazareth, which was back then a tiny village. Is this assert based on any of the inscriptions? 1. Luke specifically says that Joseph is a descendant of David (and therefore, Judah) when he first mentions the character (Lk 1:27). 2. Luke specifically says that Zechariah and Elizabeth are descendants of Aaron when he first mentions them (Lk 1:5). 3. So why isn’t Mary given the same treatment? Mary isn’t even featured in Luke’s genealogy of Jesus, instead, Luke traces yet another lineage through Joseph—different from Matthew’s genealogy (Lk 3:23–24 c.f. Mt 1:16). 4. Isn’t Luke’s genealogy really Mary’s lineage? Not necessarily. There are different ways (involving marriage, divorce, death) that a man could be considered the legal son of two different men in ancient Judea. One possible explanation is that Luke traced Mary’s lineage, including Joseph instead of Mary because Jewish genealogies were traced through fathers. 5. Luke specifically says Mary is Elizabeth’s relative. If that’s true, then Mary has at least some Levite blood in her. 6. Well, couldn’t Mary be both? Sure. The fact that Joseph (a Judahite) is marrying a relative of Elizabeth (a Levite) indicates that intermarrying between tribes was acceptable in Mary’s time. 7. But don’t get hooked on genetics. Jesus’ kingly lineage was traced through Joseph by two gospels—both of which readily confess that Jesus isn’t Joseph’s biological son. So I don’t think the biblical writers see it as all that important that Jesus had Davidic DNA. Interesting about the missing lamb….maybe Mary didn’t get a lamb, because the “Lamb of God” was already with her, and it wasn’t yet time for His sacrifice…..or maybe that’s reading too much into it. I do wonder how Mary making a sin offering works into the Catholic argument that she was born without original sin. And your point about the word “favored” being used one other time, to describe Gentile Christians, goes against the Catholic argument that Mary was favored and never sinned (or kept from sinning). (I had never knew that fact about that word, so thanks for that tidbit!). It’s super fascinating. I’m considering doing some more study on God’s favor. Being that grace is by definition unmerited favor, it would be cool to see how the Bible deals with this concept from Genesis to Revelation. Same as Jesus being Baptized in the Jordon, though he was sinless! I’ll start with introducing myself as a Catholic and thanking you for the opportunity to explain this. Yes, the Catholic Church states that Mary not only was born without original sin, but also lived her life without sin. The reason she still offered the doves was because she, as we know, was a woman obedient to Jewish law, which is also why she cleansed herself for 40 days after the birth of Jesus. Also we need to remember that being without sin is a spiritual aspect of a person and since that NEVER happens she certainly wouldn’t have expected that, so she still offered the turtle doves in obedience to the law. There is another misunderstood verse in which Mary says “I rejoice in God my savior.” How could God save somebody without sin? Yes, she was saved, however not after sin. Mary was saved before committing any sin, saved from committing sin. I like to see Mary being without sin as a way the Father used Mary as a spotless red carpet to bring our Lord into the world. Hope this helps! May God bless you. either your genius or blessed,thanks for that wonderful answer I never knew that til now…also thanks jeff for a very nice informative article..first time to learned Judah & Levi tribes.God bless! I don’t believe Mary had any Levite blood. Both Mary and Joseph were descendants of King David. 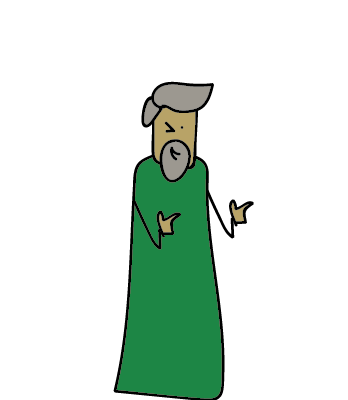 The Matthew geneology shows that Joseph was descended from David through his son Solomon (Matt 1:6). The Luke geneology shows that Mary was descended from David through his son Nathan (Luke 3:31). Luke 3:23 says that “Jesus…. (as was supposed) the son of Joseph the son of Heli.” Heli was Mary’s father. “..the son” of Heli is written in italics and it actually means “Joseph the son-in-law” of Heli. Read the verse again with “son-in-law” to make perfect sense. Many Biblical Scholars say Mary was the product of a Levite Mother – Ann(e)(a) and a Tribe of Judah father Heli. Luke 3 is Mary’s lineage according to her Father’s and the married spouse of a woman becomes part of her father’s family. That is why Joseph is mentioned as the son of Heli. You don’t by any chance have an “all the verses about Mary” post, do you?